Back from a 16 day trip. Some random shots. I love Tokyo. Like tomorrowland everywhere you look. BBQ Duck in Seoul. One of the culinary highlights of the trip. Tea plantation in the Cameron Highlands in Malaysia. One amazing place I never expected to visit in my lifetime. Near the equator yet at higher altitude, it remains cool all year round. Nice. Carry on only, foreign cities, foreign languages, hurried schedules. This has been my go to EDC for many years. 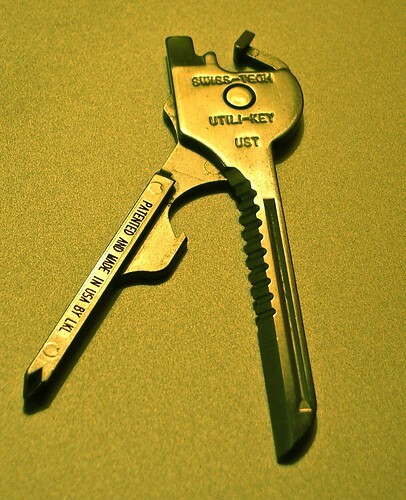 Swisstech Utilikey. Has a little of everything. Goes anywhere. Inoffensive. Highly useful. 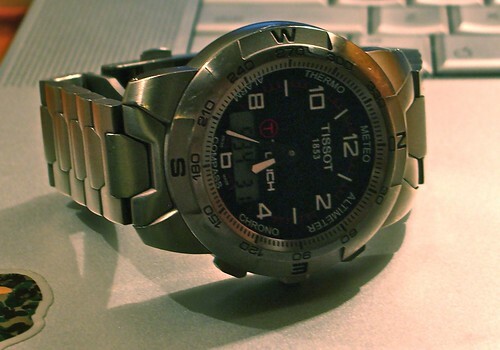 Tissot T-Touch. The compass, thermometer, and barometer functions have proved invaluable on many trips. Mine is old and pretty beat up, but the titanium band is so light that the watch weigh less than all my others.